Tamara Shopsin, the acclaimed New York Times and New Yorker illustrator, takes the reader on a pointillist time-travel trip to the Greenwich Village of her bohemian 1970s childhood, a funky, tight-knit small town in the big city, long before Whole Foods and luxury condos. 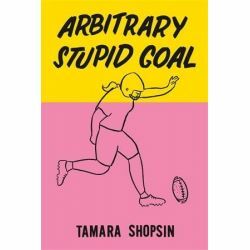 The center of Tamara's universe is Shopsin's, her family's legendary corner store/restaurant/hangout, run by her inimitable dad, Kenny-a brilliant, loquacious, contrary, huge-hearted man who, aside from dishing up New York's best egg salad on rye, is Village sheriff, philosopher, and fixer all at once. We follow Kenny as he pursues his destiny through early factory jobs, superintendent gigs, and crossword-puzzle mania. His temper flares as often as his humor, keeping Tamara, her mom, and her siblings constantly off-balance but giddy to be along for the always bracing ride. And the cast of supporting characters is unforgettable-oddballs and misfits, cops and con men, sax players and waitresses, longshoremen and poets, and crafty Willoughby "Willy" Jones, an old-time swindler and lady-killer from the South who improbably becomes Kenny's foil and best friend. All comers find a place at Shopsin's table and feast on Kenny's tall tales and trenchant advice along with the incomparable chili con carne. At its core, Arbitrary Stupid Goal is about the secrets of living an unconventional life, which is becoming a forgotten art. It's a place where serendipity trumps logic and overplanning can cause you to miss out on the fun of a midnight walk to the giant bubbling margarita glass perched precariously over the Mexican joint on Seventh Avenue. It's about taking the day as it flows, treasuring experiences over things, and embracing the crazy but essential messiness of relationships. 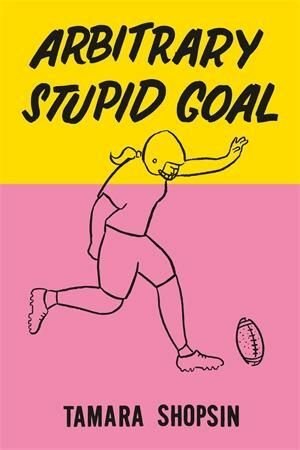 Filled with clever illustrations and witty, nostalgic photographs and graphics, and told in a sly, elliptical narrative that is both hilarious and endearing, Arbitrary Stupid Goal is an offbeat memory-book mosaic that will encourage readers to rediscover the vital spontaneity that we may have unwisely traded for the shelter of predictability.